The activist fund Starboard Value threatens the patron Yahoo! To Starboard Value, Marissa Mayer, President and CEO of Yahoo, should focus on cutting costs and focus on reconciliation with AOL instead of continuing its acquisitions policy. The strategy of Yahoo's chief executive office, Marissa Mayer, is increasingly resented by Starboard Value, a group of shareholders. Three months after a first attack, these shareholders have addressed this Thursday, January 8, a second open letter to Ms. Mayer. In this letter, the fund expresses "concerns" about rumors of a big acquisition on the horizon. For them, this strategy would penalize shareholders. 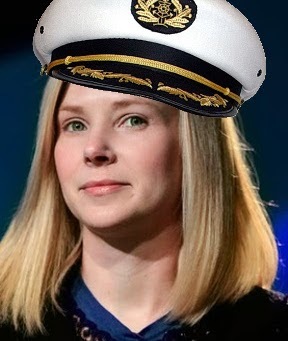 According to the letter from Starboard Value, instead of making acquisitions, Marissa Mayer should instead focus on cost reductions and especially resume dialogue with AOL to negotiate a rapprochement. "If you choose a big acquisition or a cash-rich split off, it will be a sign that a change in leadership is necessary," Starboard Value threat in his letter. A "cash-rich split off" is an operation of exchanging shares of a company against those of a subsidiary to, under certain conditions, of not paying taxes. "We hope that our fears are unfounded and that we will continue our constructive dialogue with you. We look forward to your intentions," concludes the activist fund. Yahoo must end its acquisitions policy! For the group of shareholders, latest acquisitions made under the leadership of Marissa Mayer have not only been "very expensive", but most are not "directly related to its core business" of Yahoo. Consequences: Yahoo needs to end its all-out acquisition policy, reduce operating costs and find ways to enhance its overseas activities without tax impact. The Fund estimates that if Yahoo was implementing his recommendations, he could achieve $ 1 billion in savings. To Starboard Value, a reconciliation with AOL would allow both groups to better adapt to changing automatic online advertising and the migration of content to mobile devices. Yahoo currently has a large war chest amassed after he was defeated last year is a part of its stake in the Chinese juggernaut of online business Alibaba. This was reported as 9.5 billion.